You'll be £19.99 closer to your next £10.00 credit when you purchase Bomber Offensive. What's this? In February 1942 Arthur Harris was given the job of taking the war to the enemy at a time when Britain was still on the defensive. When he took over Bomber Command it possessed only sixty-nine heavy bombers and his force was incapable of undertaking any major operations, yet by May 1943 Harris was able to mount the first of many 1,000-bomber raids. Though none can doubt that Harris turned Bomber Command into a fearsome weapon, the tactics employed and its effectiveness, however, continue to be debated. From the outset Harris was instructed to 'focus attacks on the morale of the enemy civil population and in particular the industrial workers'. This 'Area' bombing was a shift from targeted raids upon military installations and industrial plants to attacking German civilians and the country's infrastructure. The result of these concentrated attacks on German centres of population led to enormous loss of life and the destruction of many beautiful cities. Harris deals with all the key subjects in his autobiography in the straightforward fashion he dealt with his mission with Bomber Command – holding nothing back to achieve his objective. 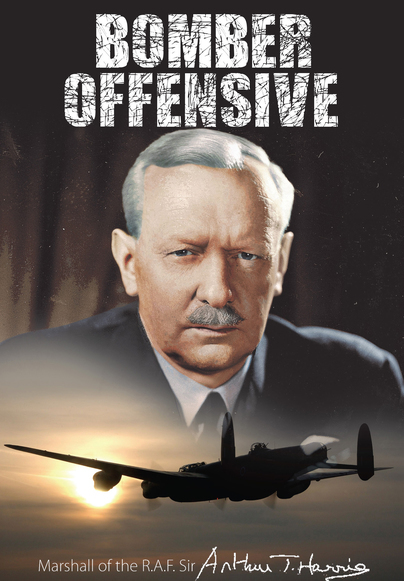 Bomber Offensive is a book all students of World War II and airpower simply must read. Compared to the memoirs of contemporaries such as Alexander, Montgomery, Slim, and Cunningham, page after page of Harris' book reverberates with ferocious, uncompromising blasts. Whether these prove Harris was always as right as he believed, or even that he was correct in his single-minded pursuit of area bombing, is best left to the reader to decide.